What are the Best States Overall? What are the best states overall? This very subjective question depends on so many factors, many of which are more important to some people than others. Traveling across the US, it is easy to see that some states excel in certain areas, while other states excel in other areas. Which factors can be used to create a comparative ranking, and should importance to residents be a weighting factor? US News & World Report and McKinsey & Company’s Best States Overall Ranking focuses on eight major ranking metrics. Of these eight major metrics, the most heavily weighted are health care and education, as these were found to be the most important to people. This category focuses on access to health providers, affordability, quality of care, and health outcomes. Education for students from preschool to high school, as well as different levels of higher education. Topics such as Common Core requirements and charter schools also impact this category. Economic measures include job growth, unemployment rates, GDP growth, migration into states, new business creation, and number of patents applied for and granted (indicative of future growth). Fair housing, poverty levels, and equal access to jobs and housing for minorities, women, and people with disabilities are among the criteria included in this category. Major considerations in this category include the use of renewable energy, as well as the quality of broadband access, transportation, roads, bridges, highways, and tunnels. This category focuses on public safety measures, rates of violent crimes and property crimes, incarceration rates, and management of prison systems. State government fiscal stability ensures the success of government-sponsored programs that impact residents. Provision of services such as public education, public pension liabilities, budgetary measures, and other state-level social and public programs all serve as indicators of a state’s fiscal health. Clean air and clean drinking water impact resident’s quality of life. Additionally, social support in a community impacts resident quality of life in that they are happier and have greater physical and mental health. What are the Top 10 Best States Overall? Want to learn more about these states? Global Mobility Solutions (GMS) has a wide range of North America destination spotlights which highlight information useful to clients considering relocation programs, and to transferees as they consider assignments in new locations. Our team has published many in-depth destination spotlights including several for Global locations, and you can also Request a Spotlight. Thoroughly researching a North America destination to learn about the location, employment statistics, major employers, and cultural highlights is critical to relocation success. 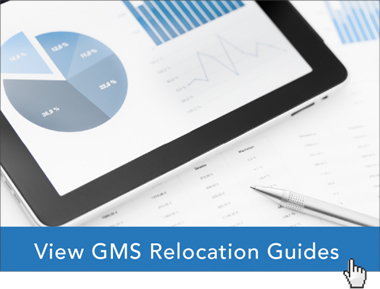 The North America relocation experts at Global Mobility Solutions (GMS) have the knowledge and expertise to help your company understand how to review the best states overall ranking. Our experts can also help your company determine how the ranking metrics relate to your company’s relocation program and transferee’s needs, so you can offer your employees the best relocation experience. Contact our team of experts to discuss your North America relocation destination, or call us at 800.617.1904 or 480.922.0700 today. Best Places for Business in the U.S.
What Does the US Rental Market Look Like for 2018?